An Expedition 31 crew member aboard the International Space Station, flying approximately 240 miles (386 kilometers) above Earth, captured this view of the Fontenelle fire on June 27, 2012. 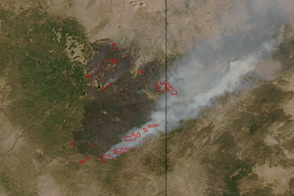 The fire, burning in Wyoming 18 miles (29 kilometers) west of Big Piney, was discovered on June 24. 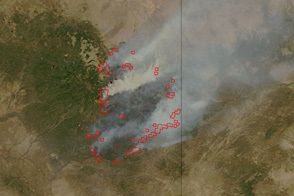 By the morning of June 28, the fire had burned 25,000 acres (101 square kilometers). 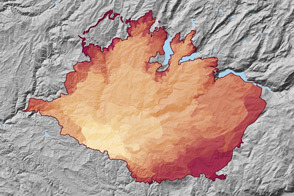 By July 6, the area burned had more than doubled to 57,324 acres (232 square kilometers), and the fire was 25 percent contained. 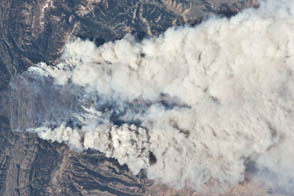 Astronaut photograph ISS031-E-146306 was acquired on June 27, 2012, with a Nikon D2Xs digital camera using a 180 mm lens, and is provided by the ISS Crew Earth Observations experiment and Image Science & Analysis Laboratory, Johnson Space Center. 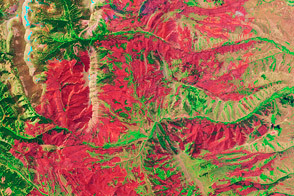 The image was taken by the Expedition 31 crew. It has been cropped and enhanced to improve contrast, and lens artifacts have been removed. The International Space Station Program supports the laboratory as part of the ISS National Lab to help astronauts take pictures of Earth that will be of the greatest value to scientists and the public, and to make those images freely available on the Internet. Additional images taken by astronauts and cosmonauts can be viewed at the NASA/JSC Gateway to Astronaut Photography of Earth. Caption by Adam Voiland. 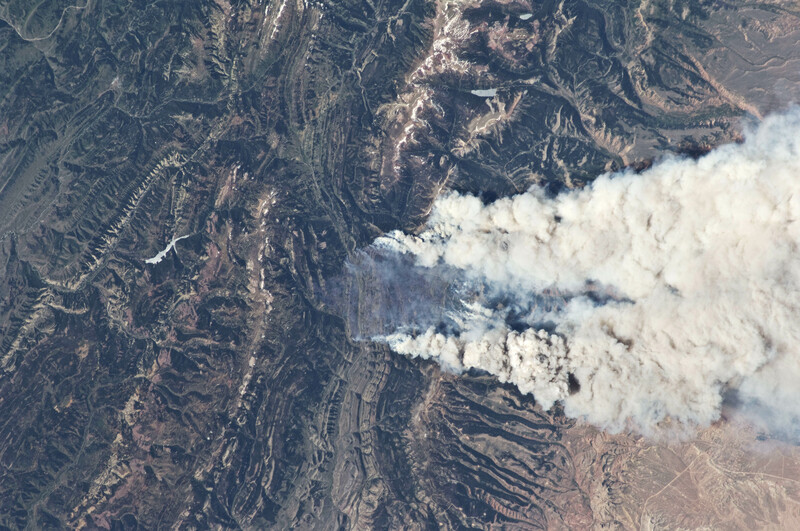 Astronauts captured this view of smoke billowing from the Fontenelle Fire in Wyoming three days after it began. 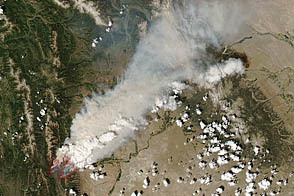 A fire began burning in Bridger-Teton National Park on June 24, 2012. Inciweb. (2012). Fontenelle Fire. Accessed July 6, 2012.